Children are prone to what we adults call silliness: the propensity to giggle at any opportunity. 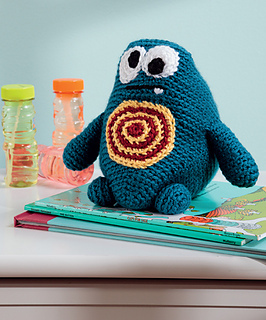 I designed Zabby because I wanted to catch that gigglyness in crochet form: googly eyes, a hypnotizing tummy, and a crazy triangle shape. She’ll eek a giggle out of anyone!